PUBG is developed by PUBG Corporation and Garena Free Fire is developed by 111dots Studio. 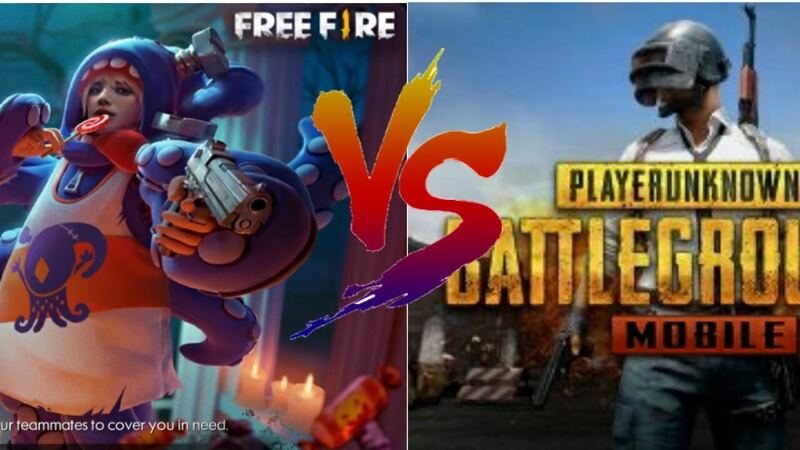 PUBG and Garena Free Fire are both battle games. Although PUBG is better than free fire in some cases the free fire gets good. PUBG Mobile is the Popular game of Blue hole Company. Its popularity is increasing day by day. Also, many people are playing this game in an emulator. PUBG Mobile is the top game in current situations. 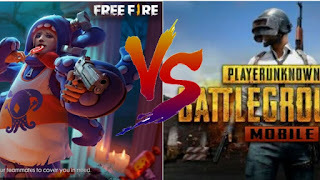 The concept of Garena Free Fire was of the Zombie Hunting but now it has changed into Battle Royale. I must say, it's copied from PUBG Mobile but the game is worth. In PUBG, 100 peoples are dumped to the island by plane. After reaching the island, you have to pick up items such as Gun, Armours, Bag, First aids and have to survive until to die or until to win. The most interesting thing is that You can not even hide on an island because the more people die, the game zone goes over. 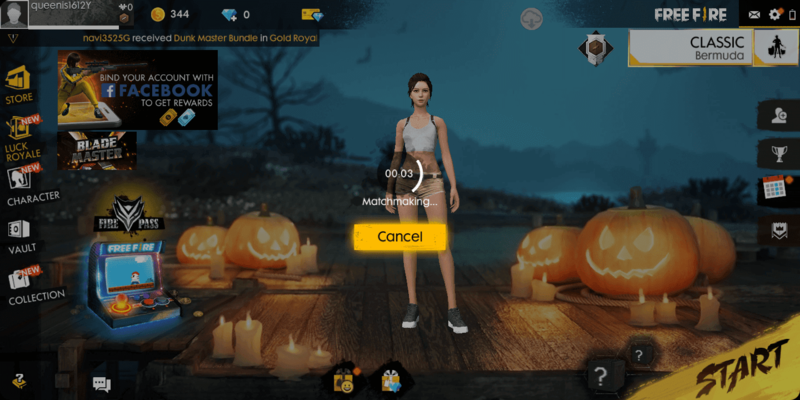 In Garena Free fire, the concept is same like Pubg, throw by plane and pick up materials and survivals until die or win. This game can be very short about 10 minutes because the game area is very little. In PUBG, the graphic is so smooth and realistic. This is a miracle because this type of graphic never made on mobile. If your mobile or computer support high graphics definitely it is worth. In Garena Free fire, Its graphic is not outstanding, it is not too bad, it's a fair type. If you are using low spec mobile then it runs very well. I am playing this game in 1GB RAM. In PUBG, the control is so smooth and also sensitivity. Graphic of grass, tree, houses, shadow looks realistic. Due to the problem of the server, sometimes lack the control. Overall. the control is awesome. In Garena Free fire, the control is not good or not bad, it is ok. When you play the first time, you can not control the game. While playing, you'll know better. PUBG has many types of guns such as M24, AUG, DP-28, M249, M416, AKM, UZI etc. The helmet and armor have been for the protection of your body. The bandage and painkiller material has been made to recover immediately after the player is injured. If you have 1 GB of RAM, Garena Free Fire will be better for you. If your mobile's RAM and the processor is good then the PUBG Mobile is much better than Garena Free Fire.